Be the first to hear about their new releases and deals. Download the Booksprout app and search for Athena Braveheart today! 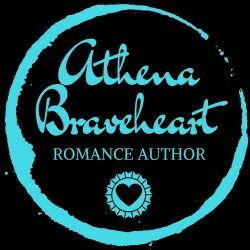 Athena Braveheat is a new contemporary romance author who is unapologetic about her love for reading and writing romance. She sees romance as an integral part of life. Athena enjoys having her female characters strong and even they go through intense heartbreak, they always find a way to restore and become stronger. She enjoys crafting stories that are wonderfully enriched with emotion, humor and unremitting love. Athena has a soft spot for billionaire men who are so secure in their masculinity that they are able to be extravagant with their women both in and out of bed. Athena fell in love with words at a very early age. She spent her youth reading her older sister's Harlequin romances and dreaming of experiencing this love herself. She has never stopped reading and dreaming. Now she wants to share her dreams with you. Enjoy! !